One night we got the idea to mix up our breakfast crescents and try to make it a dinner crescent. We had some chicken that my mom gave us that needed to be used. 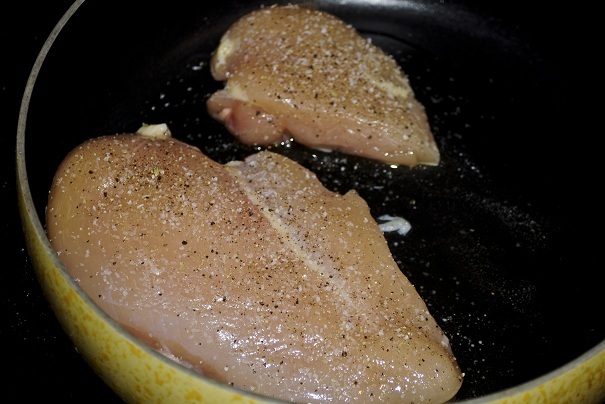 We used part of one breast the night before, so we had 1 breast and a half of a breast so it wasn’t two whole chicken breasts. So we thought and we thought and that’s when we came up with the idea to add it to cream cheese, some cheese and wrap it all up in a crescent. So we cooked up the chicken, but not to the point it was dried out. 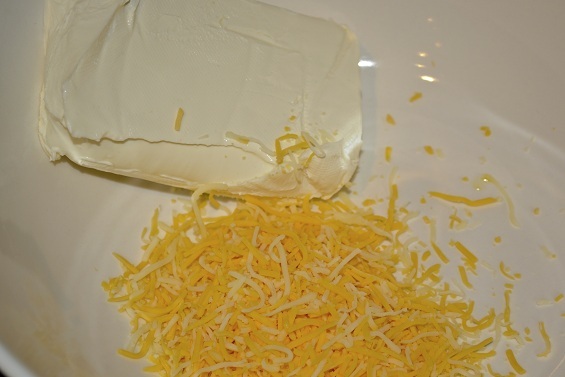 1 block of cream cheese with a handful of shredded cheese. Shred up the chicken. We used our chopper, but you can always do it with 2 forks. Mix it all together. Yum! I think you could almost eat it like this! Place your crescents on a cookie sheet and bake at 375 for 11-14 minutes or what your crescent package recommends. Once they are toasted, they are ready to eat.